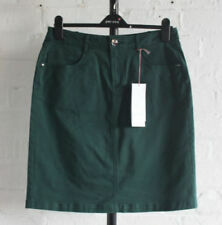 Green Midi Skirt Cotton ASOS Size 12. Condition is New with tags. Dispatched with eBay delivery – Shutl 2-3 days. 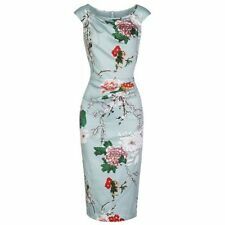 ASOS Linen Wrap Dress Emerald Green Size 8. Used once. Asos Bottle Green Dunagrees 14 . Worn once and in perfect condition!! Dispatched with Royal Mail 2nd Class. Cotton Tiered Mini Smock Dress Size 18 Green Khaki ASOS BNWT. Condition is New with tags. Dispatched with Royal Mail 2nd Class. 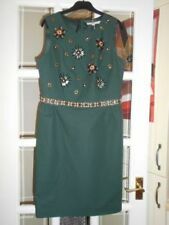 Asos Green Corduroy Pinafore Dress Size 8 Used But Great Condition. Condition is Used. Dispatched with Royal Mail 2nd Class. Fab Ladies checked cotton ASOS Trousers, 28" Waist, perfect for Spring! Asos corduroy Dungaree dress. Olive green colour, with button up front. Condition is Used but only worn once with no damage. Dispatched with Royal Mail 2nd Class. Asos Loungewear/Pyjama Set Size 10 Tall. Green ribbed cotton jersey long sleeved top. Matching shorts with elastic waist and faux drawstring. V neckline with tortoise shell buttons. Type: LONG MAXI. Colour: LIGHT GREEN. Label Size: UK 10. Material: COTTON. Asos Green Floral Shorts Size 14. Condition is Good, only worn a few times.Dispatched with Royal Mail 2nd class. Stunning maxi dress with cross back and plunge front. Used condition. Jersey stretch material. CORDUROY DUNGAREE DRESS. ASOS NEVER WORN. KHAKI GREEN. ASOS T SHIRT. SAGE GREEN. so can be worn with a strappy vest. RIBBED COTTON. Maxi dress byASOS Collection. Double split front. Stretch jersey. Machine wash.
Asos Stretch Jersey Culottes Size 10. Light khaki front split leg with ruffle. Inside leg approx 25". Rise approx 12". Approx waist laid flat 13" unstretched. Asos Loungewear/Pyjama Legging Style Bottoms Size 10. Green ribbed cotton jersey. Elasticated waist, tortoise shell button on the ankle cuffs. Inside leg approx 29". Length - 29". Pit to pit - 22". Material - 56% Polyester, 34% Cotton, 10% Nylon. Asos Loungewear/Pyjama Set Size 10. Green ribbed cotton jersey vest top. Matching shorts with elastic waist and faux drawstring. Cutaway section under the empire line. Has wide strap ribbons that go over shoulders and also ribbons that do up around the back. Waist: 28". make Supersized seem small. Overall length: 58" (at longest point). Asos Sample Loungewear/Pyjama Cropped Top Size 10. Cotton blend stretch jersey. Sample label attached. Green ribbed with faux button on one shoulder. Approx length 16". ASOS Women green denim Skirt. Short skirt with concealed zip at front with stud fastening. Great buy. Never worn. Asos Midi Cotton Sundress Green Polkadot UK Size 6. Condition is New with tags. Dispatched with Royal Mail 2nd Class. Asos Loungewear/Pyjama Flared Bottoms Size 10. Green ribbed cotton jersey. Inside leg approx 30". Asos Corduroy Pinnafore Dress Khaki Size 12. Condition is Used. Dispatched with Royal Mail 1st Class. ~ 'ASOS' ladies khaki festival knitted vest top ~. knitted fabric with lace trim.